Hi everyone! 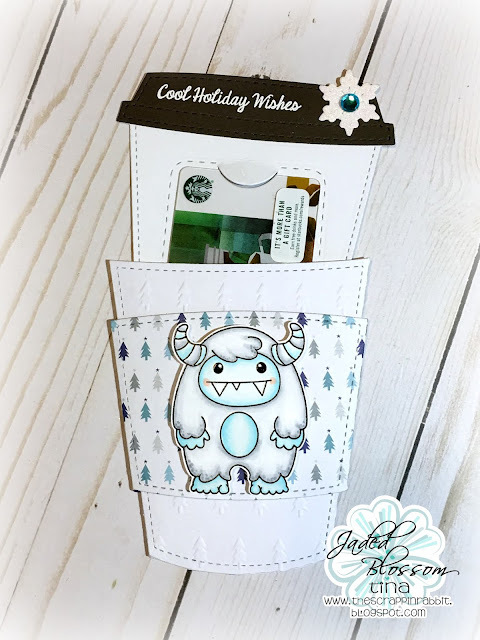 This is Tina from The Scrappin Rabbit blog and I have a gift card holder to share using the new Coffee Slider Die. I love the new die and it will get tons of use making many gift card holders and cards for all my coffee loving friends. 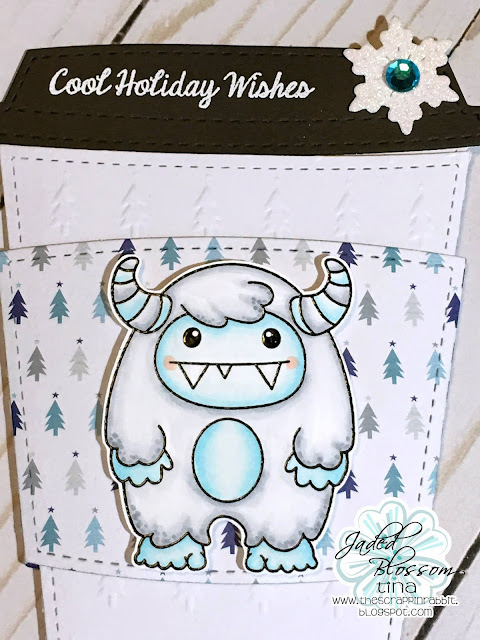 I used the adorable Yeti To Party stamps to color up this cutie with Copics. The snowflake is from the Winter Banner Dies. I added some bling to the center. The sentiment is stamped and embossed and is from the Penguin Dress Up set. Thanks so much for stopping by! I hope you like my project! Have a great day! so fun, love that Yeti! 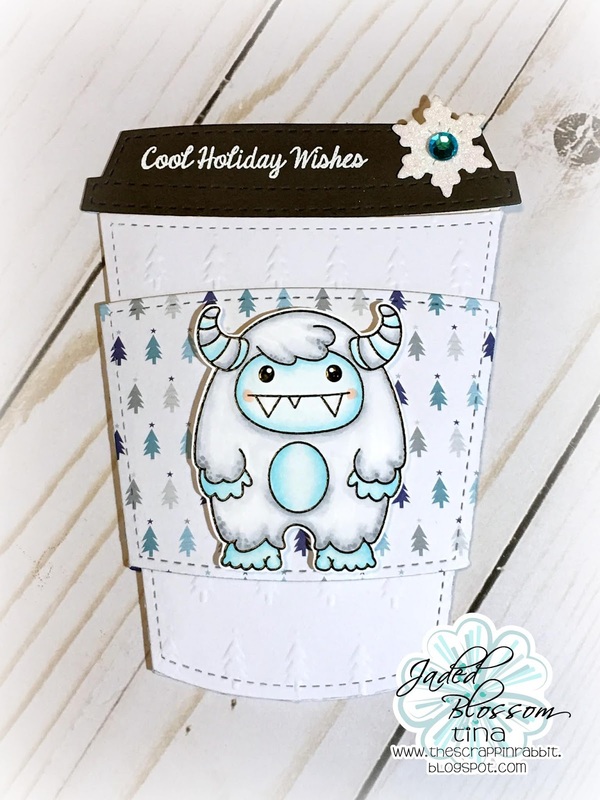 I'm going to feature this in the Coffee Loving Papercrafters FB group! That is sooo stinkin' CUTE!!! LOVe that Yeti!